When Enzo Ferrari had a falling out with his top associates, said associates chose to leave Ferrari’s side and go their separate ways. One of the more famed companies to come from this massive falling out was ATS. No, not the Cadillac ATS, but rather the Italian sports car manufacturer Automobili Turismo e Sport. Carlo Chiti started the company to produce both racecars and road cars, but the racing side didn’t work so well. The 2500 GT, which was a blessing passed down from the pen of Franco Scaglione, made its debut at the 1963 Geneva Auto Show as one of the first ever mid-engine vehicles. For the era, the 2.5-liter V-8 engine’s 210 horsepower was a marvel and its 241 km/h (149.75 mph) top speed was almost unsurpassed. The precise number of these cars built between 1962 and 1965 is not really known, though some say it was a total of 12 units. What is known, however, is that only five units remain today. This is all about to change, as after 47 years, the ATS brand and the 2500 GT is being risen from the ashes and presented as a new model to contend with the likes of Ferrari and Lamborghini. So, can this resurrected ghost of automotive past actually compete with its ultra-powerful fellow automobili Italia? Click past the jump to read our full review on the ATS 2500 GT to find out. When you start sticking your dipstick in the crankcases of the likes of Ferrari, Lamborghini, and Lotus – yes, Lotus is still in this list despite its woes – you’d be best suited to bring your “A” game; especially when they beat you into submission over four decades ago. Well, just as the original 2500 GT was a model of simplicity and style, the new 2500 GT is a perfect blend of technology, simplicity and style. From its slanted nose and its bulging front fenders, you know this ATS means business. Its massive heat extractor in the center of the hood simply confirms the fact that this is one restart company that is not messing around. Does it hijack some of its styling language from its competitors? Sure it does, but it blends them together in a way that none of them though to do. As you slide up its shallow-raked windshield, you are the shuttled downward by its reverse-wedge roofline that doesn’t end until it meets up with the integrated rear lip spoiler. Around back, you have a pair of round taillights on either side with a large plastic insert between them that also appears to act as an engine heat extractor. At the base of the rear fascia, you have a rear diffuser with a pair of massive dual-exit exhaust tips, giving you a total of four exits to emit that sweet sound of its powerplant. The side profile of the ATS 2500 GT is equally stunning, as the shape of the car makes it look like it is cutting through the air as it sits there. Massive rear fender flares give it a wide set of hips to house those monstrous 20- x 10.5-inch alloy wheels. Just to the front of the rear rims sits a large air duct that feeds cool air to the engine or brakes – possibly both – and a set of matching 19- x 9-inch wheels up front give the 2500 GT a racecar like stance. The 2500 GT’s chassis is a tubular design with an integrated roll cage and its body is all composite with carbon-fiber panel. This gives the 2500 GT and ultra-svelte dry weight of just 980 kg (2,161 lbs). ATS has yet to release any information on what is inside the cockpit of the new 2500 GT. Once we get a glimpse of it, we will forward you the information. Under the hood of this stylish and ultra-lightweight super car is a rear-mid-mounted, boxer-style, turbocharged 4-cylinder (ATS has yet to release its displacement) with 16 valves and dual variable valve timing. ATS didn’t release the official horsepower or torque output on this engine, but we can reverse engineer the number using the impressive 510 horsepower-per-ton rating that ATS listed. Assuming the fact that ATS is using the metric system, a metric ton (or tonne, if you prefer) is 1000 kg. Simply multiply 510 with 0.980 and you get the actual horsepower of the engine, which is a freakish 499.8 ponies. Now, if ATS is talking about a short ton (U.S. measurement), we are looking at an even more impressive 551 horsepower. All of those ponies gallop through a 6-speed manual transmission – why not a dual-clutch automatic is beyond us – and travel only to the rear wheels, which could pose a serious problem in a car this light. Throwing the power to the rear wheels is a limited-slip differential and connecting the transmission to the engine is a single-plate race clutch. This car does feature traction control, via its MOTEC M600 ECU, but we’re not too certain how well that will keep the rear wheel from lighting up on hard acceleration. From its 3.3-second 0-to-100 km/h (62 mph) time, we can only guess that the traction control must help a little. Under the ATS 2500 GT is where the real magic is made, as it doesn’t necessarily feature anything special, it simply uses the basic suspension components very well. You get independent suspension all the way around with billet aluminum uprights, symmetrical wishbone arms, Teflon bushings, Ohlins adjustable dampers, and front and rear anti-roll bars. Helping you navigate the twist with ease is a 2.2-to-1 close-ration steering system. This allows you to change the ATS 2500 GT’s direction with just a flick of the wrist. Speaking of twist, believe it or not, the ATS 2500 GT can hold 1.6 Gs on the skid pad with street-legal semi-slick tires. That is simply impressive. Up front on the ATS 2500 GT you get a set of 380 mm (14.96-inch) rotors squeezed by a pair of 12-pistoon calipers. On the rear, you get slightly smaller 355 mm (13.97-inch) rotors, but the same 12-piston calipers squeezing them. That’s major overkill in the braking department for a sub-1,000 kg car, but better to have brakes that are too good rather than not good enough. No price or release date is available yet. 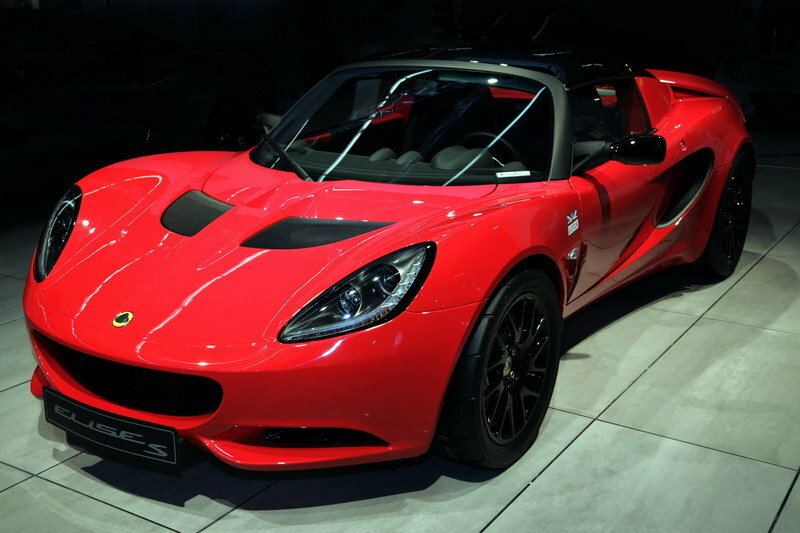 The first car that comes to mind when looking for a competitor for the ATS 2500 GT is a Lotus model. The only Lotus that is really competitive with the 2500 GT is the Elise S. The Elise S comes fitted with a 1.8-liter DOHC 4-cylinder powerplant with a supercharger bolted onto it. This is enough to squeeze 217 ponies and 184 pound-feet of torque from this 924 kg (2,037-pound) Elise – less than half that of the ATS. With that big of a power gap, the Elise comes in well short of the ATS’ acceleration time at 4.6 seconds to 60 mph and a max speed of 145 mph. Both of those numbers are respectable for the compact and nimble Elise S, but they are child’s play for the ATS 2500 GT. Let’s go out on a ledge and compare the ATS 2500 GT to the Lamborghini Gallardo. Yeah, they aren’t really in the same class, per se, but the ATS is kind of a ‘tweener of sorts. The $187,000 Gallardo comes with a 5.2-liter V-10 engine capable of pumping out 550 horsepower and 397 pound-feet of torque, making it a good matchup, in terms of power at least, for the ATS. 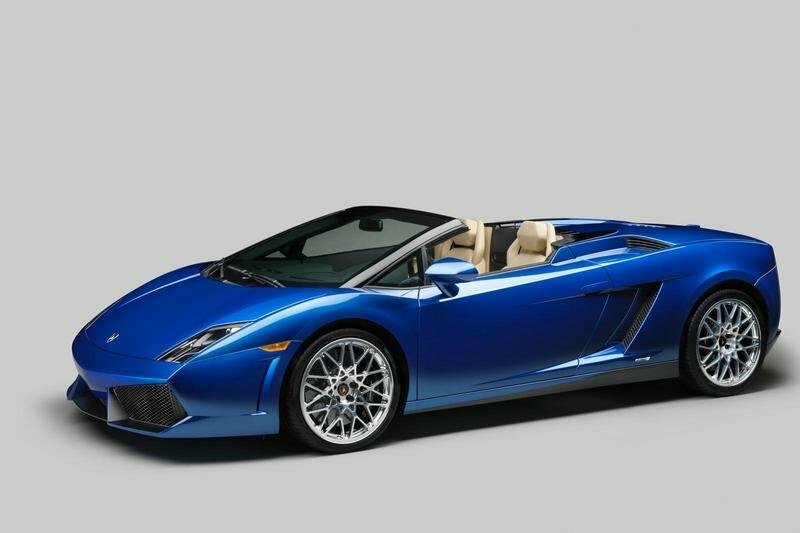 The Gallardo hits 60 mph in the 3.5 to 3.6-secon range, giving the ATS a 0.2 to 0.3-second advantage. The Gallardo kills the ATS with its 200-plus mph top speed. Then again, after 150 mph, who’s really counting? The ATS 2500 GT is simple, powerful and carries with it a name that should have never gone away. It crushes anything Lotus can produce and runs with a Lamborghini Gallardo with ease. In the twist, the Lambo can’t hang and the Lotus even falls behind. All of this makes the ATS 2500 T a supercar that could potentially flip the realm on its ear. A 500-plus-horsepower 4-cylinder, 1.6 Gs on the skid pad and an exterior that is stylish and simple… What more do you want? Oh yeah, we still need to find out how much ATS plans to sell the 2500 GT for. With exception to its potential $200K-plus price tag, we say this car is the clear-cut leader in entry-level supercars. If ATS can sneak this car in under $150K, it will dominate the supercar world. 500 to 551 horsepower from a 4-cylinder is unreal! First, thanks for reading and the comments. As for the concern of the accuracy of the numbers; according to the 510 hp per ton that ATS lists it is 100 percent accurate that this car will be between 500 and 551 horsepower, depending on if it is a metric or U.S. ton. Our mouths dropped too when we read that. Unfortunately, there is no pricing on it yet, but we figure it should come in somewhere in the range of the Gallardo (circa $200K). It really depends on how much R&D went into making that flat-4 engine as powerful as it is. We know the base engine (sourced from Subaru reportedly) couldn’t cost too much. It’s just a matter of how much time and money ATS put into it. Thanks for reading! Keep up the comments! and even if it were a copy, boy what a copy it is! it can even be considered a tribute to that car, if you like. @midocar: the car looks something like the koenigsegg, but it does have it’s own individuality. it’s not like a cheap copy. i guess snow is right. this is super car land we are talking about. since a gallardo can cost close to 200.000 and a porsche spyder 650.000 euro, i am sure this ATS will fit in somewhere. @tinur: if the numbers are right, who cares about the pricing? i mean, it is going to worth every penny! what about the pricing of the car? 500+ HP for a car lighter than 1.000kg and capable of 1.6 Gs? that’s a recipe for an extremely good supercar. is it just me, or the cars looks something alike the koenigsegg? i love the car’s simplicity! i am curious if you guys got the numbers right. because if you did, boy, what a car this is going to be! 500 HP from a 4 cylinder engine? that’s some good engineering there!